With top safety ratings and a string of standard and available driver assists, the 2018 Honda Accord appeals to College Place and Kennewick families as a more than suitable vehicle. Again, the Honda Accord proves itself to have much more than a comfortable interior and a string of technologies. Whether you need to reverse with added care or drive through the night, the Honda Accord boasts the safety features you deserve. Together, these active safety systems monitor your drive and extend your awareness to efficiently minimize the likelihood of an accident occurring. Lane Departure Warning (LDW): Alerts you if you begin to shift lanes without signaling. Lane Keeping Assist (LKAS): Re-centers your Accord if you continue leaving your lane. Adaptive Cruise Control (ACC): Adjusts your preset cruising speed according to your distance from the car ahead. Road Departure Mitigation (RDM): Applies corrective steering if you begin to veer from the road. Forward Collision Warning (FCW): Alerts you if a frontal collision becomes likely. Collision Mitigation Braking System (CMBS): Applies the brakes if you fail to react to the Forward Collision Warning. 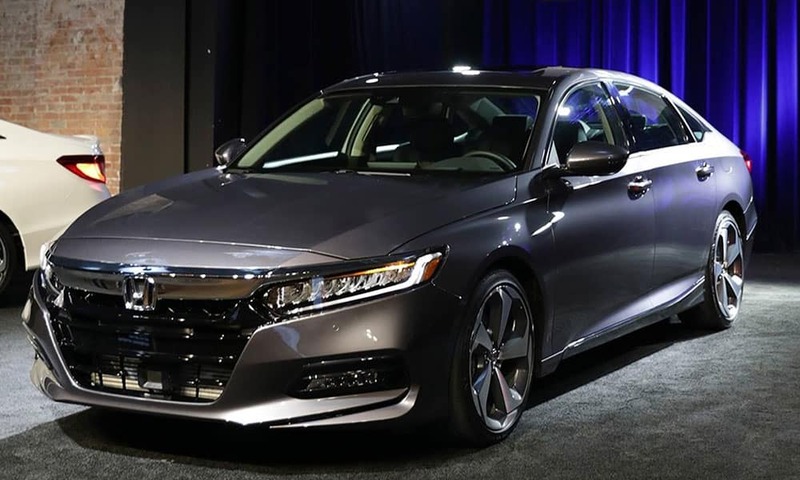 Each 2018 Honda Accord is constructed with an ACE (Advanced Compatibility Engineering) body structure that has been expertly designed to direct impact energy away from occupants in the event of a collision. This coveted technology has helped the 2018 Accord garner top safety ratings. The NHTSA gave it a 5-star overall safety rating*, including a 5-star rating in the tricky rollover test. That’s a test in which competitors like the 2018 Ford Fusion, 2018 Hyundai Sonata, and 2018 Mazda6 were all awarded just 4 stars. The Accord’s comprehensive selection of accident-avoidance technologies reduces the chances you’ll have to put its crashworthiness to the test. And you’ll drive with greater peace of mind knowing the vehicle is as safe as can be. The 2018 Honda Accord is one of the safest sedans on the road today. Drivers throughout College Place and Kennewick can schedule a test ride online, or come by the showroom here at Walla Walla Valley Honda.